Our head instructor, Professor Ronald Allen Mertz, has over 55 years of training in both hard and soft styles of the Martial Arts. Professor Mertz is a 10th degree Black Belt in Isshin-Ryu Karate, 10th Degree in Tiger Commando Fighting System and holds an 11th level in Shaolin, Kung Fu (which he has studied since he was 5 years old). Professor Mertz also holds additional Black Belt ranks in the following systems: Judo 5th Degree Black Belt, Ju Jitsu 2nd Degree Black Belt, Aikido Black Belt & Tae Kwon Do 3rd Degree Black Belt. Professor Mertz is a life member of the Martial Arts of China Historical Society, Lifetime Achievement Award IAMA, The World Karate Hall of Fame, The United States Martial Arts Hall of Fame & the Garden State Games Hall of Fame. 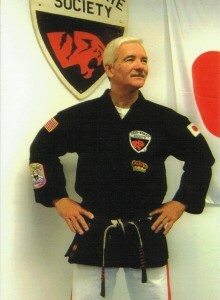 He is the Director of the Tiger Karate Society’s under its retired Director and Founder Grand Master Richard J. Mrofka. He has been with the organization for over 30 years. He is a coach & Instructor for the Amateur Athletic Union as well as the Northeastern Regional Representative for the American Isshin-Ryu Karate Association (AIKA). Some highlights of Professor Mertz career include the Pan Am Games (Argentina), the Empire State Games, NY, the tournament circuit 1960’s-1980’s and Who’s Who in Karate 1982 & 1988. Additionally Professor Mertz served in Southeast Asia -Vietnam as a military advisor, he is the author of “Self Defense for Senior Citizens” which is in the Library of Congress and ran safety and awareness seminars for citizens of the Fort Apache Area, Bronx, NY in cooperation with 45 PCT during the riots of the late 1960’s. He is a certified Qigong Instructor under Master Tainyou Hao. Professor Mertz is certified in Traditional Chinese Medicine under Dr. C. K. Lo, Acupuncture under Dr. Richard C. D. Cheung, and Hypnotherapy with the National Guild of Hypnosis. State side he has a Law Degree (LLB), a Degree in Child Psychology and Education, a Degree in Finance, a Degree from the American Banking Institute and holds a Diploma in Herbal Studies. With over 55 years of training and experience in the Martial Arts additional information and highlights maybe available upon request.